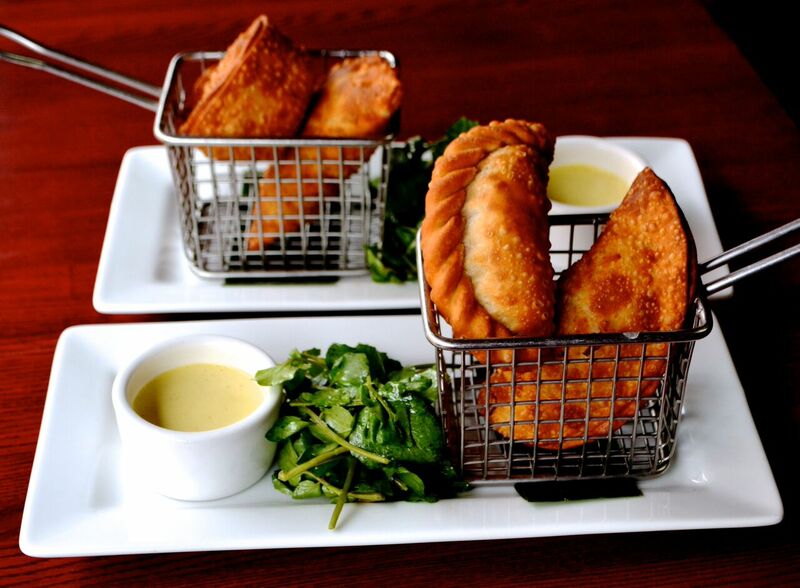 Cuba Libre Restaurant & Rum Bar, located steps from CityCenterDC at 801 9th Street, NW, will celebrate National Empanada Day with a Dollar Empanada Happy Hour available exclusively at the 50-seat bar/lounge on Sunday, April 8th. Fans of the delectable stuffed pastry are encouraged to stop by the restaurant between 4 PM to 7 PM to sample three different signature Mamá Amelia’s Empanadas: Del Campo with pulled pork, roasted poblano and charred tomatoes; Picadillo with Cienfuegos-style ground beef, potatoes, Manzanilla olives and raisins, and the De la Casa with hand-chopped chicken, corn and jack cheese, each priced at $1. Cuba Libre’s signature happy hour menu also offers $5 Caipirinhas such as the Classic with Velho Barreiro Cachaça, guarapo, fresh lime juice, and muddled limes, Guava made with Licor Beirao, guava purée, guarapo, and fresh lime juice, and the Energy Caipirinha created with Velho Barriro Cachaça, Red Bull, guarapo, lime juice, muddled oranges and limes. There is also a special $6 House-made Caipirinha Infusion of seasonal selection of the brightest fruits, herbs and/or spices soaked in Velho Barriro Cachaça, guarapo, fresh lime juice, sugar, and muddled limes. One can enjoy house wine and sangria for $4 each, $5 House Cuba Libre with Don Q Añejo Rum, Coca-Cola, and lime, plus a featured rotating beer of the day for $3.50 along with the “tapas bite” menu with specials priced from $4 to $5 each. Guests can also order a sampler platter with a choice of any seven happy hour dishes for $31. 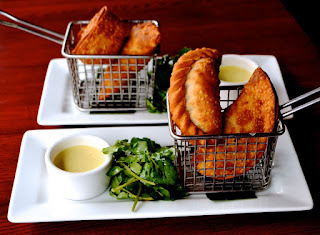 Additionally, Cuba Libre will be adding a Chicken Baracoa Empanada, pulled chicken stewed with coconut milk, mangos, and tomato-ginger chutney to the menu, from April 16th through April 30th. This will be available in addition to the restaurants three signature empanadas during brunch, lunch, and dinner service. WHERE: Cuba Libre Restaurant and Rum Bar is located at 801 9th Street, NW, Ste. A, Washington, DC 20001; Phone (202) 408-1600. For additional information, please visit www.cubalibrerestaurant.com. Cuba Libre Restaurant & Rum Bar opened in Philadelphia in 2000, Atlantic City in 2004, Orlando in 2009 and Washington DC in 2010 to much acclaim, giving guests a passport to Cuba's intriguing flavors and culture. The restaurant’s name, which translates to “a free Cuba,” signifies a hope for the future of the treasured island nation. Two-time James Beard Award-winning Chef-Partner Guillermo Pernot’s menus feature tantalizing tastes that reflect Cuba’s culinary traditions, as well as the emerging modern cuisine he is experiencing during his continuing travels to Cuba. Cuba Libre Restaurant & Rum Bar is poised for expansion into other new markets. The restaurant is an affiliate of GuestCounts Hospitality which operates a diverse portfolio of restaurant, catering, and nightlife concepts in Philadelphia, Atlantic City, Orlando and Washington, DC including, Brûlée Catering by Chef Jean-Marie Lacroix, and Gourmetro Catering. Principals Barry Gutin and Lawrence Cohen bring a unique combination of expertise to each of their projects and have been partners in the hospitality business since 1995. For more information about Cuba Libre, please visit www.CubaLibreRestaurant.com. For more information on GuestCounts Hospitality, please visit http://www.GuestCounts.com or call (215) 922-3200 x133.